Imagine eating chicken every night for dinner, or only ever frequenting the same restaurant and always ordering the same dish. Most people would call you boring. Then why is it that so many people only drink the same wine? Perhaps wine is still slightly intimidating to many, so when people find something they like, they stick with it. I suppose it is human nature to stay within your comfort zone and stick with what you are familiar. But it’s still boring, particularly with the huge variety and diversity of styles and flavours available. 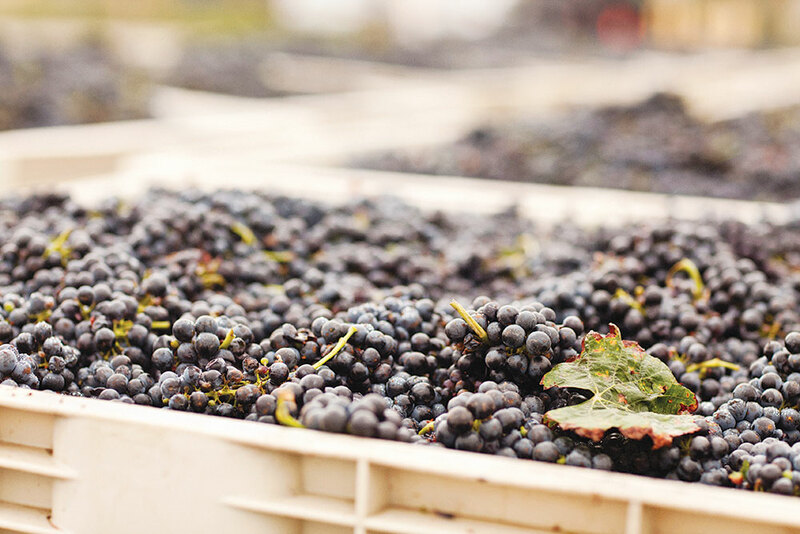 In Canada, we are fortunate as wine consumers to have access to so many great wines from around the world, including those grown on our home soils. And while there are over 1,000 grape varieties used to make wine, most people collectively tend to gravitate to the same seven or eight better-known grapes (Cabernet Sauvignon, Merlot, Syrah/Shiraz, Pinot Noir, Chardonnay, Sauvignon Blanc and Riesling). Even Malbec is a relatively recent “discovery.” Twenty years ago most people in Canada had never tasted Malbec from Argentina (they may have tasted Malbec from France but not even realized that they were drinking Malbec). I say “collectively” because even within this familiar group of grapes, most people tend to limit themselves to only a few. Too often I hear emphatically “I only drink Chardonnay” or “I only drink California Cabernet.” It’s time to expand your horizons. There are so many amazing wines being grown in the world; you are depriving yourself of their pleasures by not being more adventurous. The key point to remember is that how well known a wine is bears no relationship to the quality of that wine, and just because you’ve never heard of it doesn’t mean it’s not good. The following is a list of grapes that can produce delicious, character-filled, diverse wines along with suggestions for recommended producers. Give a few of them a try (if not all). Better yet, introduce a few to your friends. You’ll look like you’re on the cutting edge of what’s happening in the wine scene. Dark, powerful and brawny with grippy tannins; black and red fruit flavours with an intriguing edginess finishing big, but juicy with fresh acidity. Its home is southwest France (Madiran in particular), but it does quite well in Uruguay and Argentina. Good examples are intriguing and full of character. For everyone who only drinks Malbec from Argentina, drink Tannat instead. Good examples: Alain Brumont (Madiran), San Pedro de Yacochuya (Argentina), Artesana (Uruguay). An aromatic red grape primarily found in Italy’s Marche region. Dark with intense aromas of roses and spice, bright dark berry and cherry flavours and well structured. Good examples: Marotti Campi (who makes a red, rosé and extremely cool sparkling) and Mancinelli. One of the main grapes (along with Nerello Cappuccio) grown on Sicily’s Mt Etna, currently one of the globe’s “it” wine regions. Generally lighter in colour, but don’t let that fool you as Nerello Mascalese can make incredibly enticing wines. Fragrant and fresh with sour cherry and wild currant aromas and flavours; great focus and finesse with a stony minerality and crisp finish. The vineyards on the slopes of Mt Etna, the tallest active volcano in Europe, and high altitude contribute to the vibrancy, intensity and minerality of the wines. Good examples (either monovarietal or at least 90% Nerello Mascalese): Benanti, Pietradolce, Tasca d’Almerita. Generally blended with Nero d’Avola in Sicily’s Cerasuolo di Vittoria wines, monovarietal bottlings are becoming more common due largely to the success of Arianna Occhipinti. Lighter in colour; fragrant, bright red fruit, dried herbs, vinous, juicy, refreshing, medium body with lively acidity. Good examples: Arianna Occhipinti, COS, Valle dell’Acate. One of Italy’s most important grapes. Primarily grown in the south in Campania and Basilicata. Produces remarkable, character-filled red wines that are structured, savoury, minerally, dark fruit, floral and ageworthy. Good examples: Mastroberardino, Cantine del Notaio, Elena Fucci, Tenuta del Portale, Madonna delle Grazie. Its home is southern France and the grape can produce delicious wines that are soft, fruit-driven, juicy and aromatic. It is often blended with Grenache and Carignan, but some excellent monovarietal red and rosé bottlings exist. Good examples: Domaine d’Aupilhac (France), Birichino (California). Found in northern Portugal, most often in Bairrada and Dão, the grape can be difficult to grow, but when done well, the wines have beautiful fruit and freshness when young and evolve and develop more complexity as the tannins soften with age. A few producers are making interesting sparkling wines with Baga. Good examples: Luis Pato, Caves Messias, Caves São João. Perhaps best known from Spain and southern France, this high-acid, dark, often tannic grape is experiencing a resurgence perhaps due to the wines being produced from old, dry-farmed vines in Chile’s Maule Valley. Chilean producers have even created an association, VIGNO, to collectively promote quality Carignan from these old vines. Good examples: De Martino, Undurraga TH (Chile), Cims de Porrera (Spain), Le Roc des Anges (France).